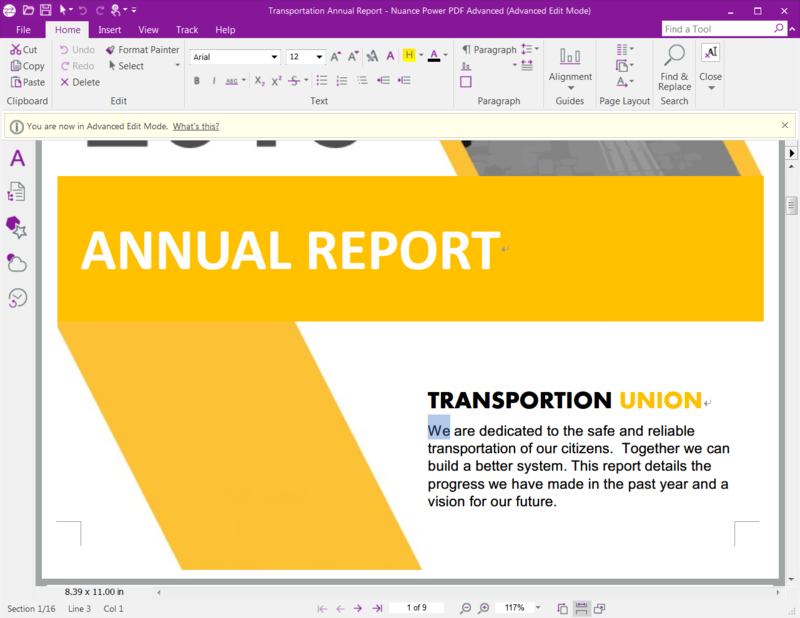 Using the Advanced Edit mode to edit the text of a PDF document. Two years ago, Nuance Communications – the company perhaps best known for its Dragon speech recognition software – came out with Nuance Power PDF Advanced, a full-featured professional PDF program with all the capabilities lawyers would need. Notably, its price was $149.99, just a third of the $449 selling price of Adobe Acrobat Pro. 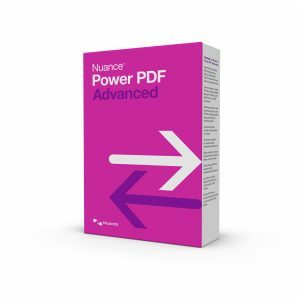 Today, Nuance is releasing its second-generation Nuance Power PDF 2, and while it has been enhanced with new capabilities and a new user interface, Nuance has kept the price of the Advanced version – the version I’d recommend for lawyers – at $149.99 (with volume discounts available). A standard version is $99.99, but it lacks many features lawyers would want, such as Bates numbering, PDF/A compliance checking, redaction and support for LexisNexis CaseMap. I’ve been testing a pre-release version of Power PDF 2, and my verdict hasn’t changed. Power PDF 2 is a professional-grade, feature-rich PDF program suitable for any legal professional and any sized law office, at a third the price of the market leader. The security toolbar for securing and redacting documents. A new user interface modeled on the familiar Microsoft Office ribbon style, intended to minimize users’ learning curves and maximize productivity. 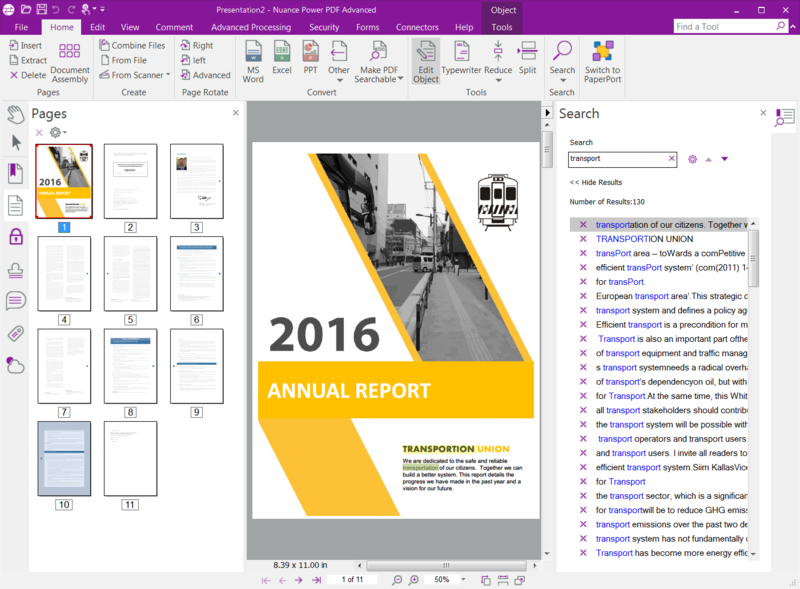 Compatibility with Microsoft Office 2016, with new add-ons for Word, Excel and PowerPoint 2016. A “touch mode” option in the toolbar that eases use with Windows 10 touch-enabled devices by reconfiguring the interface to allow more space between buttons. Touch-enabled functions allow users to navigate the software, draw annotations and type using a finger or pen. New Find a Tool search capability to allow users to quickly find any tool or functionality by name or description. An enhanced Quick Access Toolbar that allows users to create shortcuts to the tools and functions they use most frequently. A new search panel that opens when you search a document showing multiple results. Drag and drop security profiles to quickly and easily secure documents. Edit PDF files like in a word processor using the Advanced Editor. Add-ons for Chrome and Firefox browsers to convert web pages into PDF files while preserving hyperlinks. A new tool to proofread text-recognition results after scanning and correct errors. Power PDF now also allows users to connect to cloud storage systems directly from the file menu, enabling access to Dropbox, Google Drive, OneDrive and Box. The enhanced search panel on the right. Power PDF can also connect to the following document management systems: OpenText eDOCS, HP WorkSite, Livelink, OpenText Enterprise Connect, NetDocuments, Worldox, EMC Documentum, Xerox DocuShare, Therefore, HP Trim, Office 365 and SharePoint. However, the ability to open and save files directly within the DMS is available only with SharePoint, WorkSite, eDocs, NetDocuments and Enterprise Connect. Power PDF already had integrated Dragon Notes speech recognition, enabling users to add notes to PDF files by dictating text. Power PDF 2 runs only on Windows. It requires a computer with the equivalent of an Intel Pentium 4 or higher processor, at least 512 MB of RAM, and 700 MB of available disk space for application files. It runs on Windows 7, 8 and 10 and Windows Server 2008 R2 and 2012 R2.